There are two types of omega-3 fatty acids, long-chain omega-3 fatty acids and short-chain omega-3 fatty acids. The long chains consist of EPA (eicosapentaenoic acid) and DHA (docosahexaenoic acid). These are plentiful in fish and shellfish. Algae often provides only DHA. (WebMD). Short-chain omega-3 fatty acids are ALA (alpha-linolenic acid). These are found in plants, such as flaxseed (WebMD). According to Dr. Joseph C. Maroon “omega-3’s work to reduce inflammation in the body”, which prevent certain chronic diseases (WebMD). Omega-3 helps support brain function and may reduce your risk for Alzheimer’s and Dementia (Chan). Lower men’s risk for prostate cancer. According to Stuart, “Those eating five or more servings a week (salmon or similar fish) had a 64% lower risk of the disease” (WebMD). High consumption of fish may lead to higher mercury levels which may be toxic. According to Stuart, “The higher on the food chain, the greater the accumulation of toxins. Fish that eat plants are less contaminated than those that eat other fish” (WebMD). Safer sources of fish that contain less mercury include canned light tuna, catfish, Pollock, salmon, especially wild salmon and shrimp. According to Baldauf, supplements are safe, but overdose can lead to risk for bleeding. VASCAZEN is a greater-than 90% pure, prescription Medical Food for the clinical dietary management of Omega-3 defiency in patients with Cardiovascular Disease. It is a unique Medical Food available only by prescription. It should never be switched to another Omega-3 product, prescription, or OTC, without first checking with your Physician. If you are in doubt, talk to your Physician. Omega-3’s are an essential component to our daily diet. According to a US study and the Dietary Guidelines Committee, 70% of Americans are Omega-3 deficient due to a lack of consumption of these essential fatty acids in the typical “western diet”. The Omega-3 content provided in a daily dose of VASCAZEN cannot be reasonably achieved through simple modification of the diet. It is a unique formulation that cannot be achieved by simply adding Omega-3 dietary supplements found over the counter (OTC) in pharmacies to your daily routine. Products purchased over the counter in pharmacies have Omega-3 purity levels that typically range between 30-60% and often contain fillers and other impurities. To receive the same amount of Omega-3 delivered by a daily dose of VASCAZEN would require up to 12 OTC Omega-3 capsules. There is no product on the market that can provide the same formulation and benefits of VASCAZEN. VASCAZEN undergoes third party testing for purity and concentration. How is VASCAZEN different from the products I can buy over the counter? VASCAZEN is greater than 90% pure Omega-3. VASCAZEN contains no artificial flavoring or fillers and has no detectable levels of dioxins, pesticides and heavy metals such as mercury. VASCAZEN is third party tested for safety and purity and to ensure that patients are receiving the highest quality Omega-3 product available. VASCAZEN, through clinical research has shown to correct Omega-3 deficiencies within just four (4) weeks of VASCAZEN treatment and maintain elevated Omega-3 levels by taking VASCAZEN everyday. VASCAZEN dosing is in accordance with the American Heart Association’s recommendations on Omega-3 intake for Cardiovascular Patients. VASCAZEN has a unique formulation specifically for Cardiovascular Patients. VASCAZEN is only available by prescription and cannot be purchased over the counter. VASCAZEN is specifically formulated for the dietary management of Omega-3 deficiency in Cardiovascular Patients reducing risk factors associated with Cardiovascular Disease. Chan, Amanda L. “Omega-3 Fatty Acids May Lower Alzheimer’s Risk, Study Suggests.” The Huffington Post. TheHuffingtonPost.com, 06 May 2012. Web. 25 June 2012. Baldauf, Sarah. 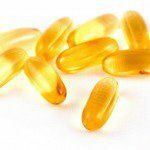 “Fish Oil Supplements, EPA, DHA, and ALA: Does Your Omega-3 Source Matter?” US News. U.S.News & World Report, 08 Apr. 2009. Web. 25 June 2012.